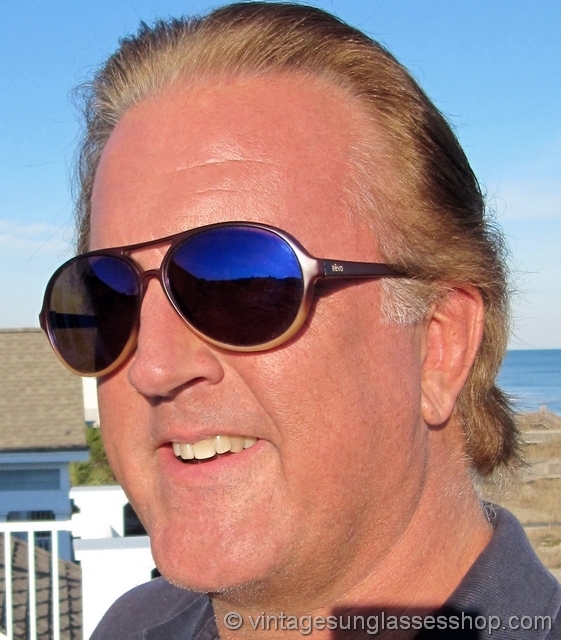 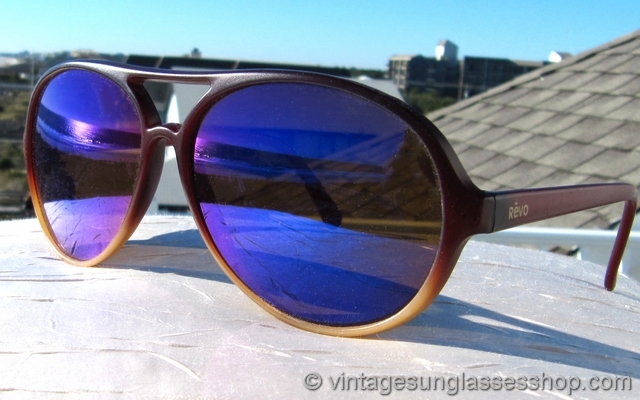 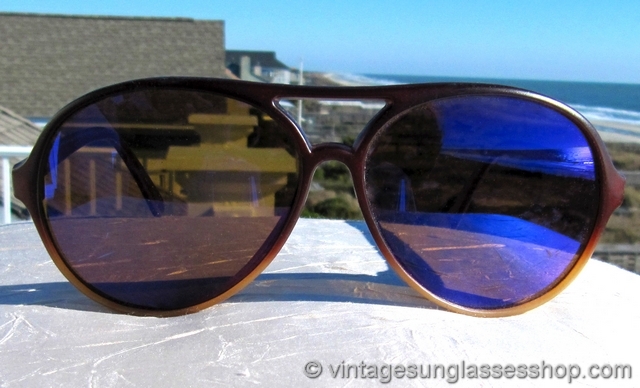 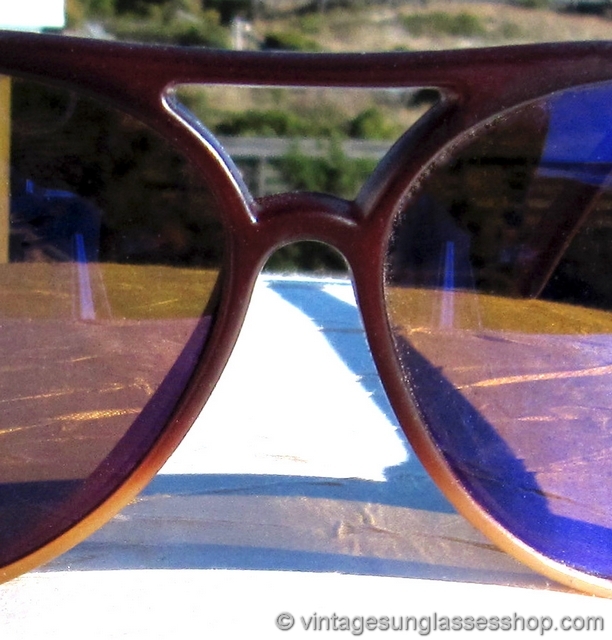 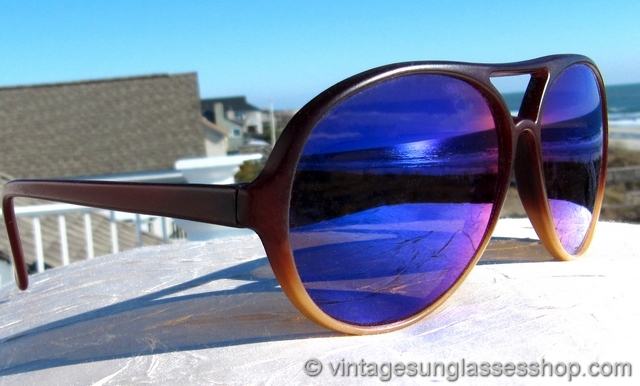 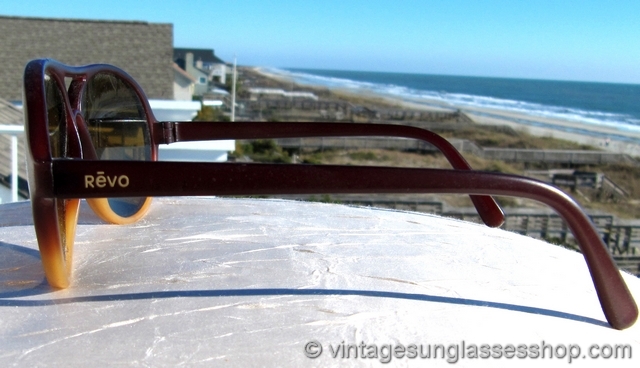 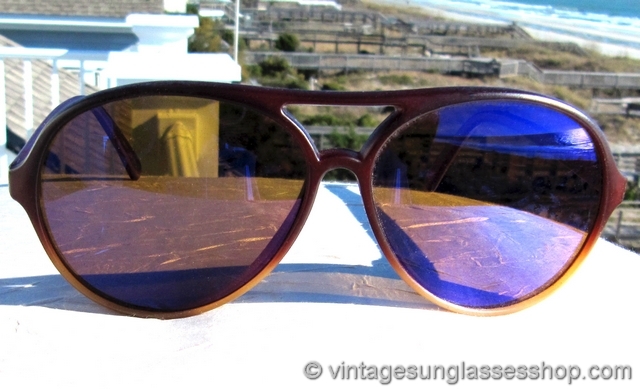 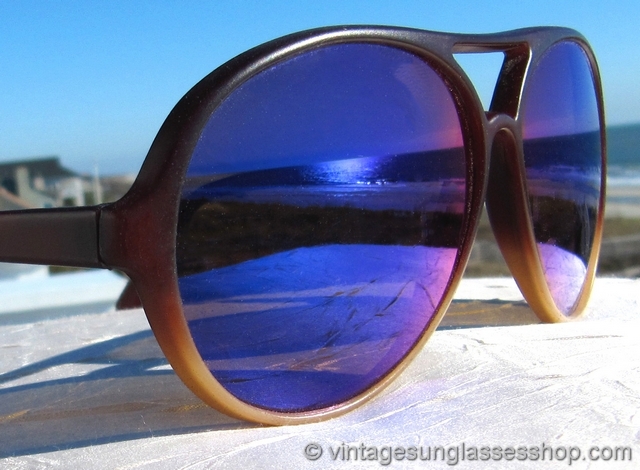 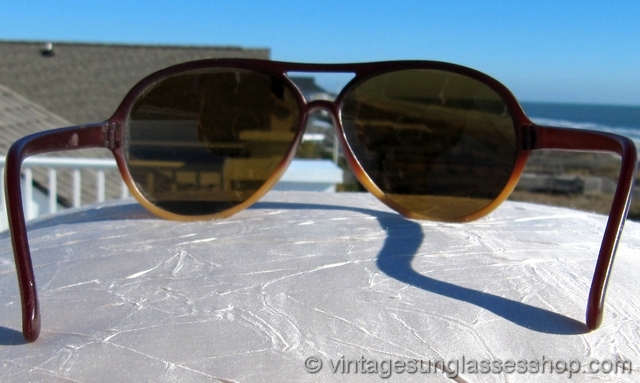 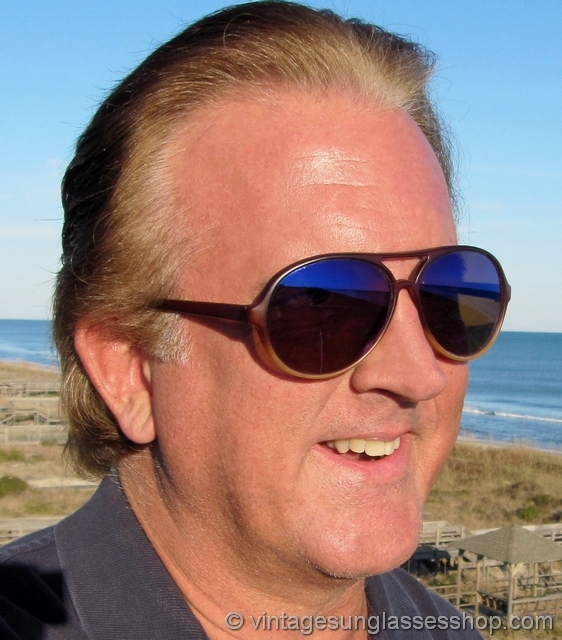 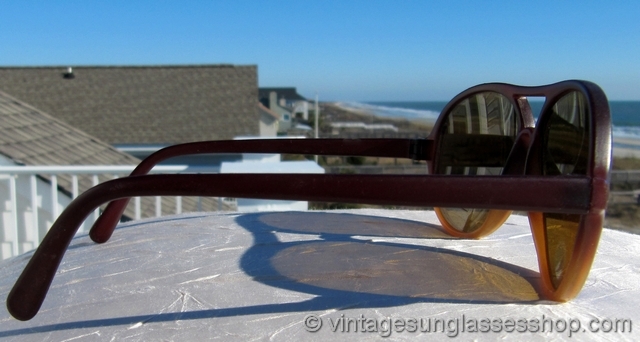 Vintage Revo Venture Aviator sunglasses feature the rare two tone brown Venture Aviator frame that was only produced for a few select Revo styles over a year or two period in the 1980s. 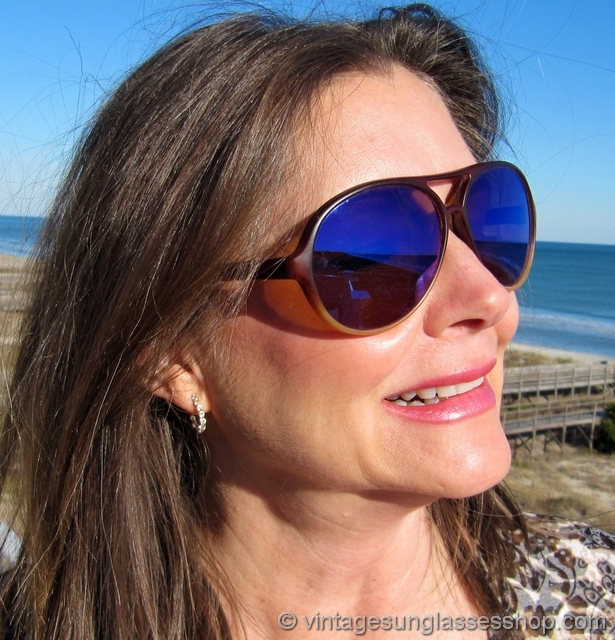 It's a striking and eye catching color combination, and it looks great with the highly reflective Revo blue mirror lenses. 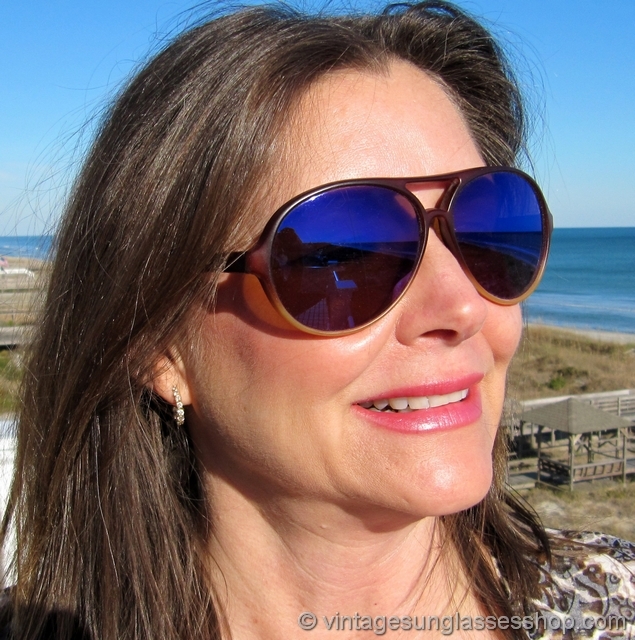 You'll love the contrast of the light brown and darker brown sections of the frame that blend perfectly together, and this is a durable nylon frame that give you high performance to match the optical performance of the Revo blue mirror aviator shape lenses. 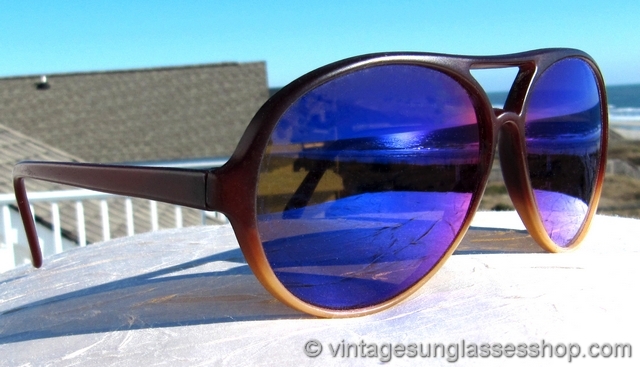 The unisex Revo Venture Aviator frame measures approximately 5.675" temple to temple, and the Revo blue mirror lenses measure approximately 2.25" x 1.875" at the widest points. 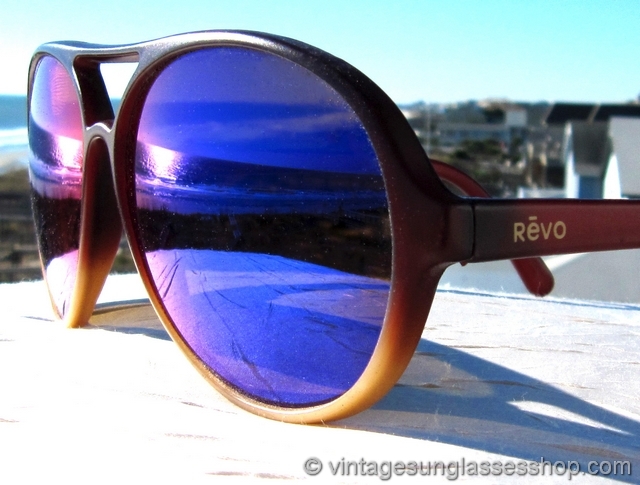 You'll find the Revo logo embossed in gold on the exterior of one ear stem, part of the vintage eyewear collection of a well known television industry figure and customer of the Vintage Sunglasses Shop.